Invisalign Teen’s™ clear aligners are virtually invisible. You can always feel confident showing your smile, even while you’re wearing your aligners to straighten your teeth. No need to feel self conscious about attending prom, taking school photos, or any other day-to-day activity. 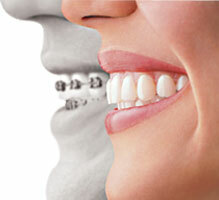 Invisalign Teen aligners are custom built for you, it generally works without anyone else knowing you are in treatment. Since the Invisalign Teen aligners are removable, you may take them out as needed as long as you are wearing them the prescribed number of hours each day. Additionally, you won’t have to worry about your aligners preventing you from playing sports or an instrument. As an added bonus, you can remove the aligners and eat whatever foods you want and you can brush and floss with ease. The Invisalign Teen aligners are made from a lightweight plastic material and fit precisely in your mouth. Although you may occasionally experience slight discomfort wearing the product, you won’t have to worry about the constant irritation and inconvenience of metal and brackets. Very friendly staff. Quick, efficient, and thorough care. Kid friendly with an awesome game room while you wait. Dr. Carter is very personable and friendly and was great with my daughter and answering any questions we had.